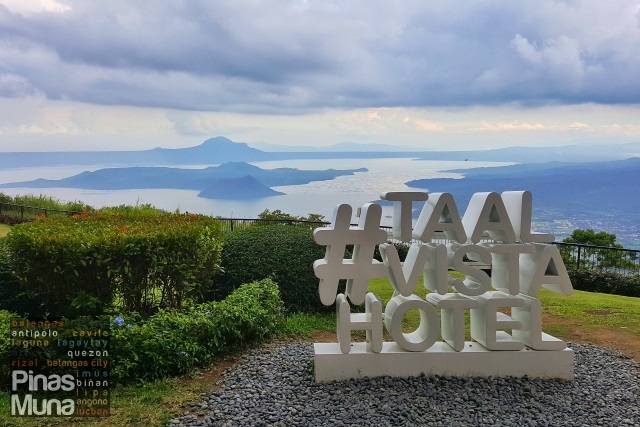 Taal Vista Hotel is a first-class heritage hotel in Tagaytay City which features 261 well-appointed rooms and suites in an expansive property located on a ridge facing Taal Lake. It was originally built in 1939 as Taal Vista Lodge and has undergone several restoration, renovation and expansion works. 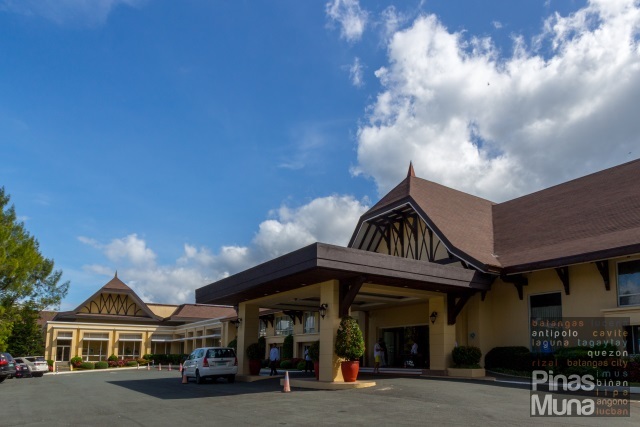 Today, Taal Vista Hotel remains to be the most highly regarded hotel in Tagaytay due to its rich history and to the associated prestige of staying in this prime property. Taal Vista Hotel is owned and operated by SM Hotels and Conventions Corporation (SMHCC) of the SM Group, which is also the same company behind Radisson Blu Cebu in Cebu City, Pico Sands Hotel in Nasugbu-Batangas, Park Inn by Radisson Davao in Davao City, Park Inn by Radisson Clark in Pampangga, and the newly opened Conrad Manila located in the Mall of Asia (MOA) Complex. The original Taal Vista Lodge structure was designed in a Tudor-style architecture characterized by the low and wide arches. The interior has been renovated to give it a modern elegant look. 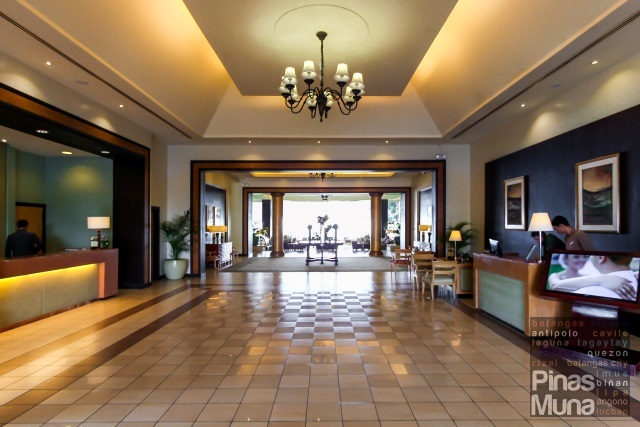 It is now the main building of Taal Vista Hotel which houses the main lobby, the front office, a spacious reception area, a number of event spaces and boutique shops. 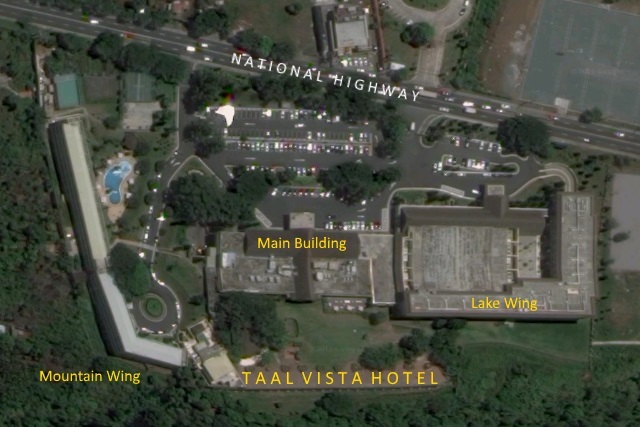 Taal Vista Hotel is comprised of two wings. The Lake Wing is attached to the main building of the property. It is the newest addition to the hotel which was completed back in 2004 and is famous for its rooms with a direct view of the Taal Lake. The Mountain Wing, on the other hand, is detached from the main building of the hotel and features guestrooms and suites in a classic Filipino-inspired design. 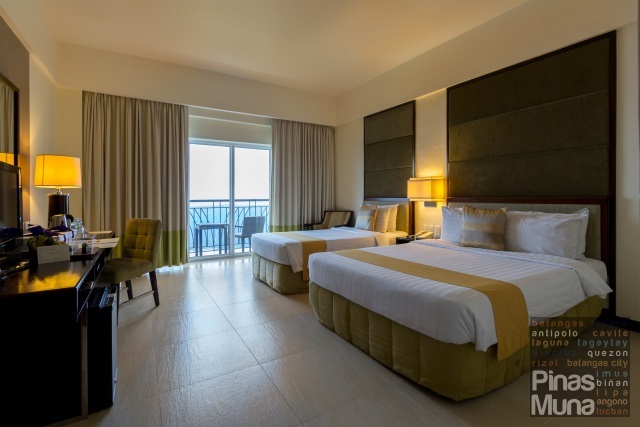 The Premier Room at the Lake Wing (check room rates) is the most in-demand room category of Taal Vista Hotel, primarily because of the unobstructed view of Taal lake and volcano which guests can enjoy from the room's veranda. The Premier Rooms, which measure 38sqm, are available in two bed configurations, the Premier Queen Room which has a queen-size bed and a single bed, and the Premier King Room which has a king-size bed and a day bed. 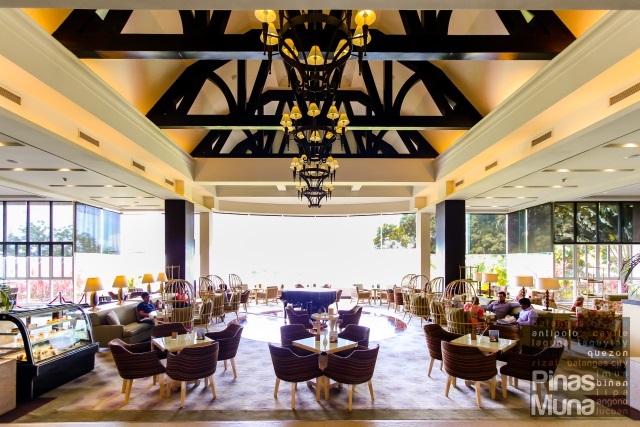 The Lobby Lounge is one of the three dining outlets of Taal Vista Hotel. It offers fruit juices, tea, coffee and espresso-based beverages, as well as cocktails and wines. The Lobby Lounge is the perfect spot for morning coffee, afternoon tea, and evening drinks while enjoying the view of Taal Lake through its floor to ceiling windows. The Lobby Lounge is located at the main building of the hotel and is open daily from 10:00am to 11:00pm with extended operation hours of until 1:00am during Fridays and Saturdays. 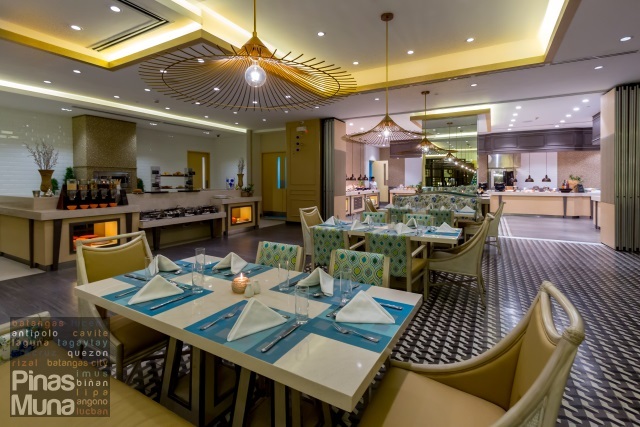 Tāza Fresh Table opened last January 2015 making it the newest restaurant of Taal Vista Hotel. It offers international cuisine prepared using the freshest and highest quality ingredients sourced personally by the restaurant's chef from local producers. Café Veranda is the all-day dining restaurant of Taal Vista Hotel. 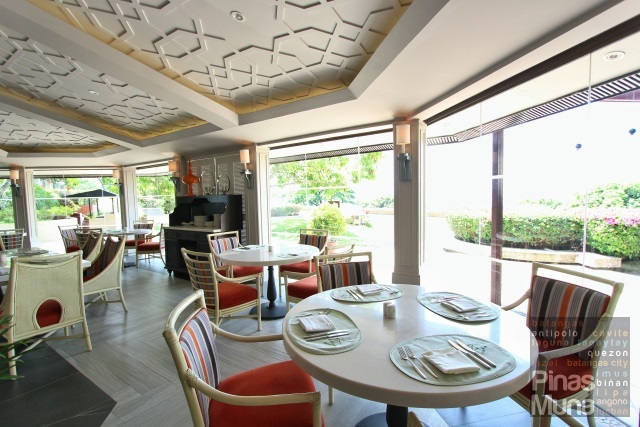 The restaurant features both local and international dishes on its a la carte menu and buffet spread. Checked-in guests of the hotel enjoy their complimentary buffet breakfast at the restaurant. 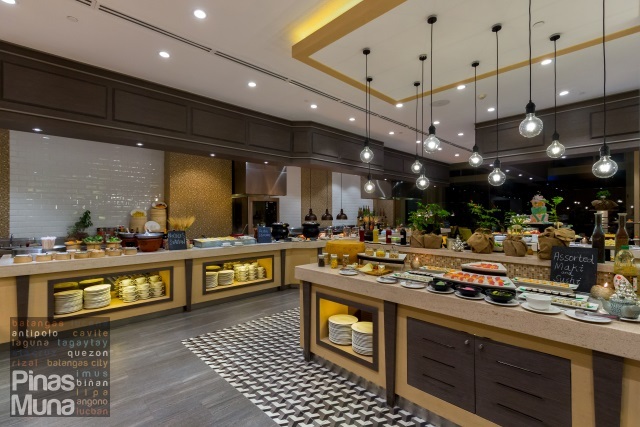 During weekends, Cafe Veranda also offers buffet lunch and buffet dinner which guests can enjoy while watching cultural presentations performed by local artists. Cafe Veranda is open daily from 6:00am to 10:00pm. UPDATE: Cafe Veranda underwent complete renovation in November 2016. The article has been updated to shows the renovated dining area and live cooking stations of Cafe Veranda. Checked-in guests who wish to dine in the comfort of their rooms can order from room service. The in-room dining menu includes a wide selection of local and international dishes, as well as some signature dishes only offered at Taal Vista Hotel. Room service is available 24 hours a day. For the ultimate rest and relaxation, there is the Asmara Spa located the Mountain Wing. It offers a wide range of massage services and treatments perfect for unwinding following a busy week of work in the city. 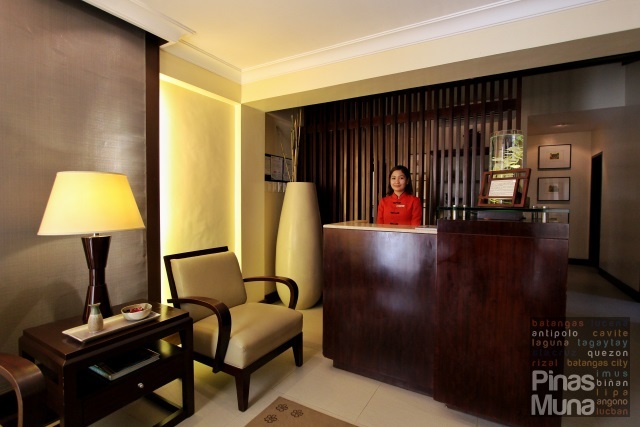 Asmara Spa is a renowned owner and operator of spas around the Philippines and has already received various awards for its excellent service and top notch amenities. Asmara Spa features single rooms, couple's room and a foot pampering room. 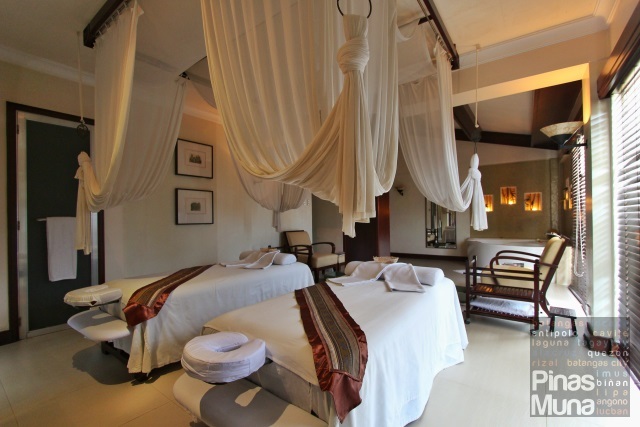 Rooms are carefully designed to offer a relaxing massage experience to the guests. Therapists are well trained to perform a variety of massage techniques from the classic Swedish or combination massage to the traditional Filipino hilot. 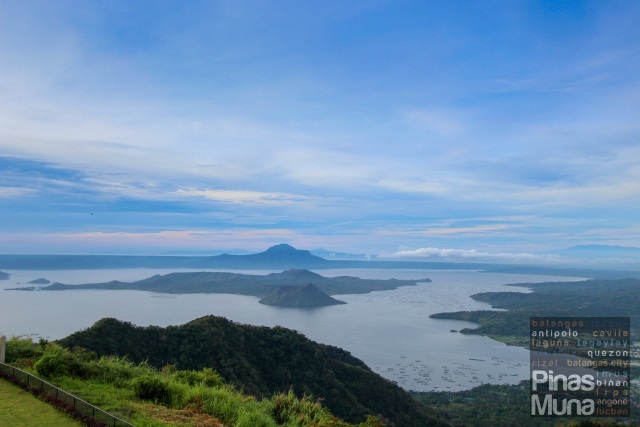 Although Tagaytay generally enjoys a cooler climate than Manila, it can also get very hot in Tagaytay during midday, especially in the summer months. 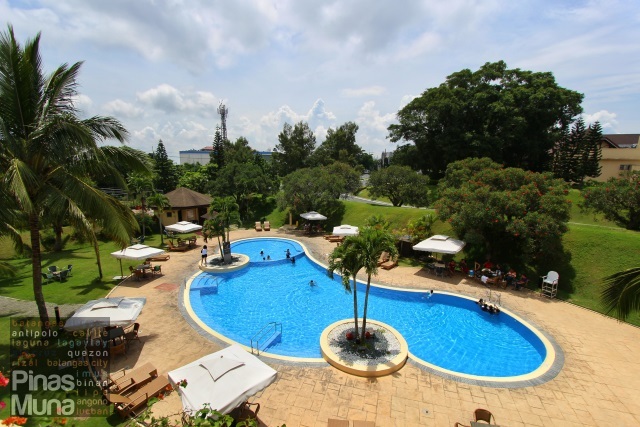 Families will surely enjoy the swimming pool located at the Mountain Wing of Taal Vista Hotel. It has a resort feel as it is surrounded with a lot of trees. After all the food tripping around Tagaytay, it's time to burn those extra calories. 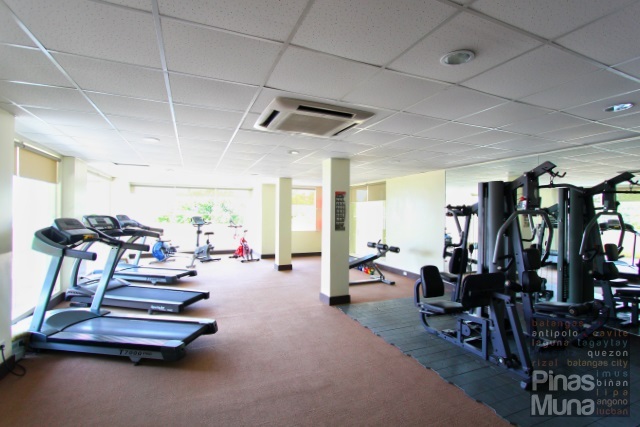 The in-house fitness center of Taal Vista Hotel is fully equipped with the latest work-out equipment and machines, from the basic cardio work-out using the treadmill to the more advanced weight training using the cable motion machines. 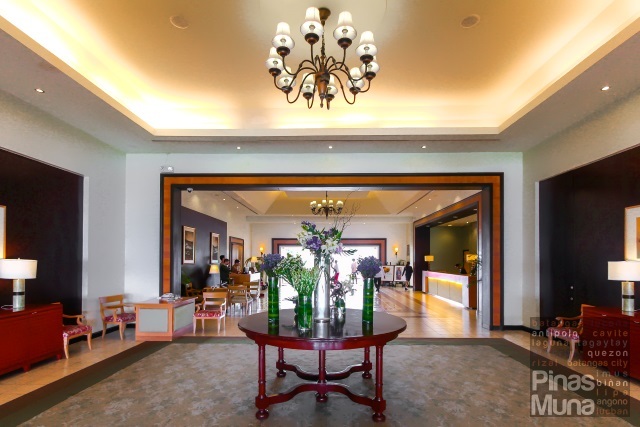 More than just a first class hotel, Taal Vista is a destination in itself. It is a destination with a place identity, it has a name which is synonymous to its location. You haven't been to Tagaytay, if you haven't been to Taal Vista. This is true then, and is still true today. 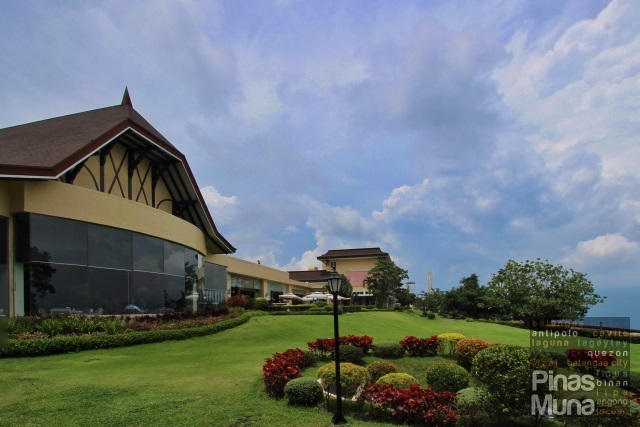 Book Taal Vista Hotel Tagaytay with Traveloka.